If you’re looking for a hydraulic motor that can provide smooth and stable operation with relatively little noise, Parker hydraulic motors San Diego CA may be exactly what you need. As an authorized Parker parts distributor, Bernell Hydraulics is uniquely positioned to sell you the very best Parker motors for a wide variety of hydraulic applications. Parker offers many different types of motors, including the classic standby, the Parker Torqmotor, which was introduced in 1964. This motor is ideal for low speed, high torque applications that require rugged reliability and smooth performance, even at very low speeds. Another interesting offering from Parker is their innovative line of integrated hydrostatic transmissions. These products actually feature Parker hydraulic motors San Diego CA, pumps, filters, valving, and reservoirs in a single easy-to-install package. 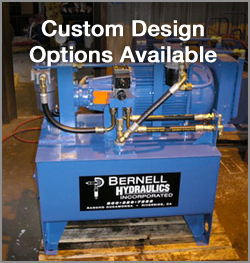 Bernell Hydraulics is your top choice for any kind of hydraulic parts, including Parker hydraulic motors San Diego CA. Unlike parts distributors who just place orders and open boxes for you, we have the in-depth hydraulics knowledge required to actually understand your hydraulic motor and provide expert advice and service, in addition to high-quality parts. You can browse the shelves at any of our three ParkerStores or place a special order through us to get those hard-to-find parts and motors. We can even help you integrate a Parker motor into a custom hydraulic setup by proving custom-made mounts and hose assemblies.